What do the monsoons have against me? Seriously, I want to know. Because a few days ago, it reached 120 DEGREES here in the deserts of Phoenix, Ariz.
No rain yet, just apocalyptic dust storms. Not even a little tease of lightning. C’mon, monsoons! Oh yeah … and there’s a black widow living in my garage. I think God is taking out His frustration on me for not updating Rogue Writer in nearly a month (sorry, y’all). Or if not Him, then the monsoons are holding some preconceived, spiteful grudge. Who knows … it could be the water I left running in my front yard for TWO DAYS (by accident) last week. Whilst talking about monsoons and a hellish drought, I can’t help but also mention the 19 incredibly brave firefighters who died this past week, here in Arizona. Did you hear about them? 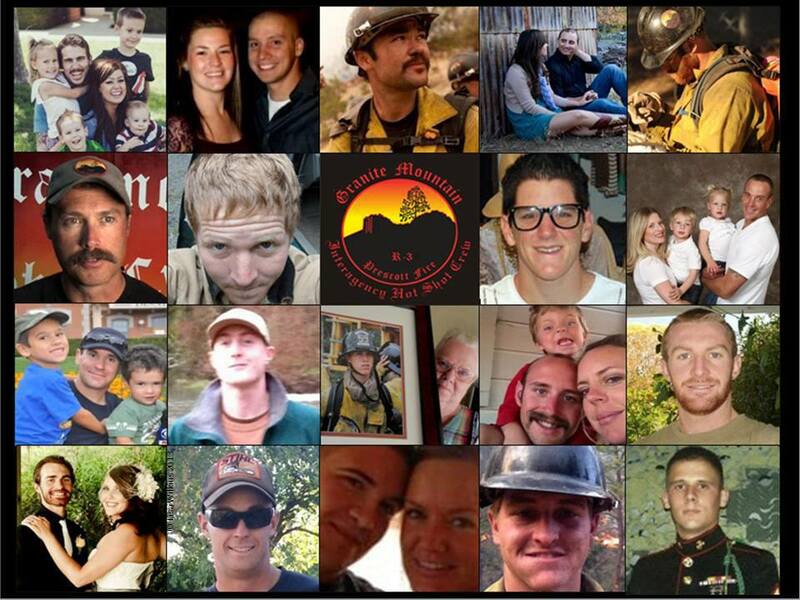 They were the Granite Mountain Hotshot Crew, fighting that aggressive wildfire in Yarnell, Ariz. It burned nearly half the town, about 200 homes. The Granite Mountain Hotshots were all from Prescott, Ariz: my old stomping ground. See, I got my start working for The Daily Courier newspaper up there, as a lead education reporter. I also backed up on crime, courts, and the fire department. When I heard what happened, my heart sank, and I felt sick. Most of these men were in their twenties, a few in their thirties, and one or two in their forties. I want to take a moment to recognize them, thank them for their brave service, and send my deepest condolences to their families. The United Phoenix Fire Fighters Association, together with the Prescott Fire Fighters Charities, have established a 501(c)3 relief fund at any Chase bank. Ask for the United Phoenix Fire Fighters Association Account set up to benefit fire fighters killed in the Yarnell fire. Every penny of your tax deductible contribution will go directly to the families. Additionally, donations can be made through the 100 Club or the Wildland Firefighter Foundation. I just took my first trip to Bisbee, Ariz. this past weekend … and this place is something else! Honestly, I can’t capture it in words, so I used images and music instead. Please enjoy (and if you’re reading this in an email, you’ll have to click through to my blog to view the slideshow)!